For further improvement, the inside of intake manifolds are machined. This modification enables smooth surface and straight connection with cylinder head, which helps to improve performance. 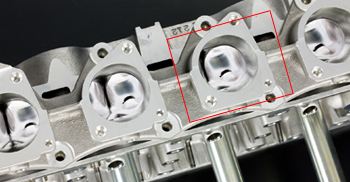 *The cylinder head on the images is ported by us. 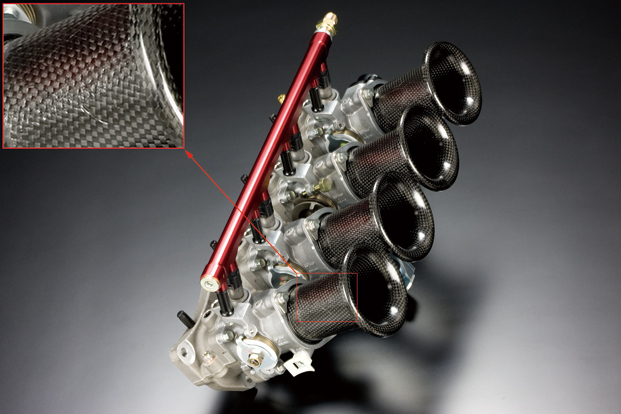 *Intake gasket is not placed for clear vision of inside. 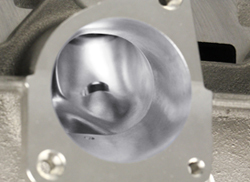 *Delivery pipe designed to be used with standard F20C/AP1 injector nozzle size. *Please ask for the use for AP2 in advance. *The specification is the same as F20C(S2000) Sports Injection KIT except for trumpets.